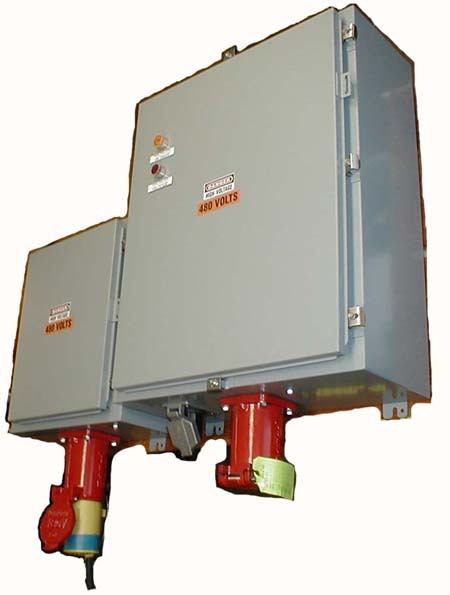 The Standard Yard Power Packages produced by Northwest Rail Electric cover the needs of most passenger car shops, stations, and storage yards. 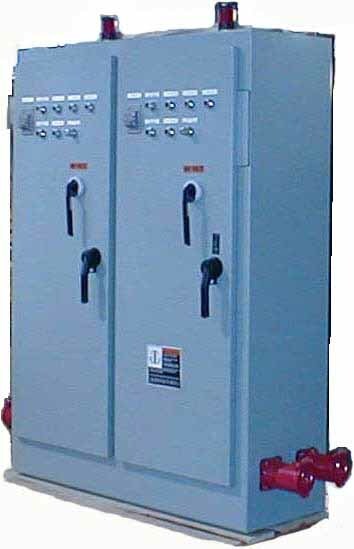 These units are designed to provide power from the electrical grid to the passenger car electrical system while the car is laying over in a yard, station, or shop. However, there have been some cases where custom packages had to be produced to suit certain customer's needs. 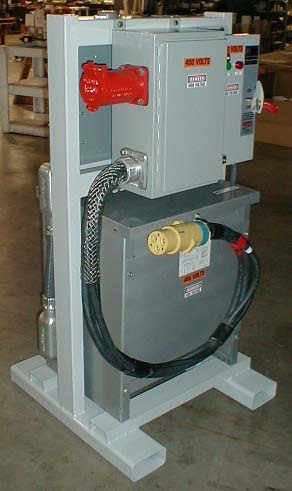 Our most recent custom yard power unit was this dual feed unit. A remote enclosure (the smaller of the two enclosures seen in the photograph) will be mounted at the end of a second passenger car storage track. This will allow one yard power unit (the larger enclosure) to feed both tracks. 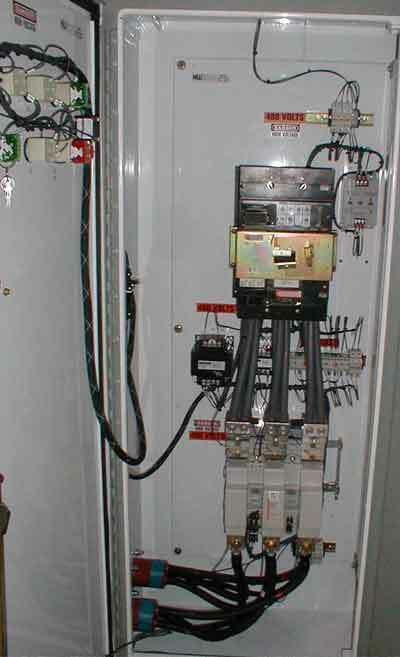 PLC Controls Examples of Control Systems we have built incorporating Programmable Logic Controllers. Passenger Car Services - sometimes we get involved in more than just providing electrical and air conditioning parts.